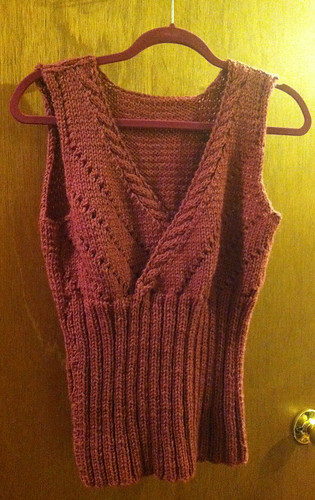 After weeks and weeks, I have finally finished my knitted tank top! I really love the way it turned out. It fits me perfectly and the color is just amazing. I wore it today with a pair of jeans. I have to admit that although I get a thrill from blocking and finishing a project…I am a big procrastinator when it comes to finishing something. There! I said it. I have had the pieces for this tank ready for blocking and seaming for weeks. For some reason, I always find it hard to get around to finishing it! 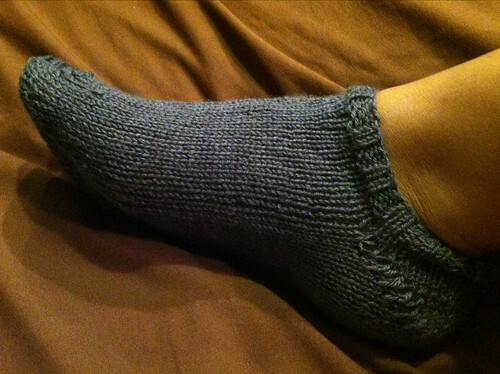 Another case in point: the grey socks that I have been trying to knit forever. After finishing the front and back for the tank top, I started on the socks again. I have finished one sock and am in the middle of finishing the matching pair. I had a little snafu with the second pair (see my note below if you’re a NY Yankees fan) but now, I’m back on track with the socks. 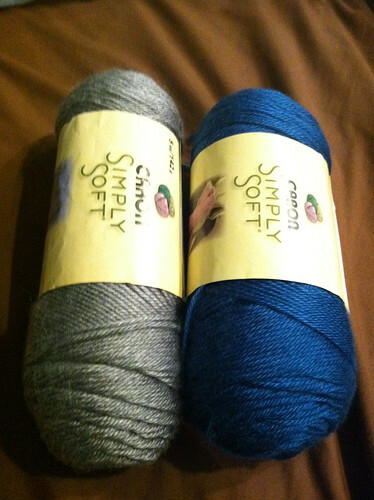 And, because I don’t have enough to knit already, I have bought the yarn for my next project and have gotten started on it! 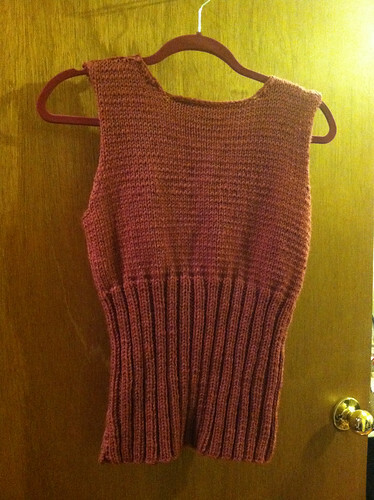 Knitting the tank top has really inspired me to make garments. 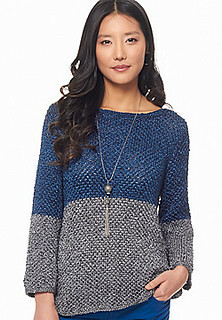 So, I have found the most adorable, fashion forward, pullover sweater pattern to try. I’ve just bought the yarn for it today. NOTE TO ALL YANKEES FANS: This week, I was surprised to find that Yankee Stadium is not a knitter friendly place! I went to a Yankee game after work on Wednesday. Naturally, I was carrying my knitting with me as I work on my projects during my daily train commute. I went to Gate 2 and was told that I could not bring my knitting needles into the stadium. I complained that they were allowed on airplanes, so why not in the stadium? The security guard deferred the decision to her supervisor, but kept referring to them as sewing needles! I showed them to the supervisor and touched them with my fingers….showing that they were blunt. But, it was no use and I was forced to throw out all five double pointed needles and a crochet hook. Lesson learned: Don’t bring your needles to Yankee Stadium! 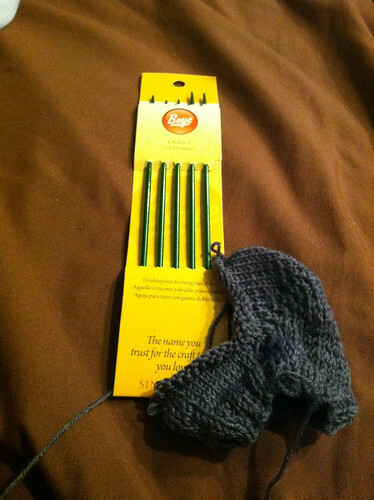 Had to buy new needles to finish my project! 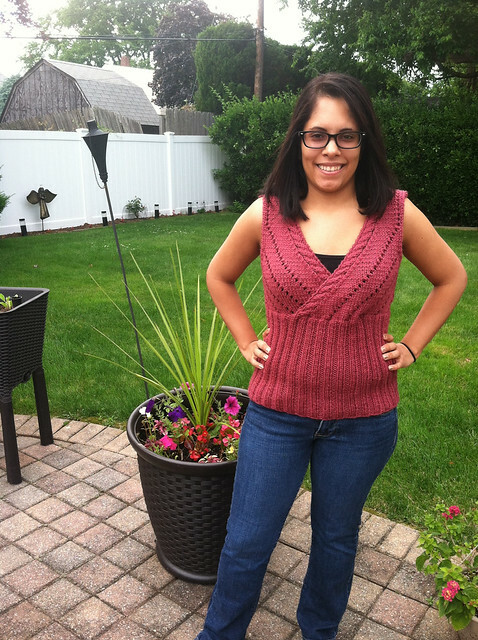 This entry was posted in Knitting, Knitting Patterns, The Craft Room and tagged Free Sweater Pattern, Knitting, knitting patterns, New York Yankees, Sock, Sweater Pattern, Yankee Stadium by Marci. Bookmark the permalink.